The Benefits of a Mobile Friendly Website – Actually, It’s Essential! So, there I was sat there planning out this article. It’s not beneficial at all. Actually, it’s essential that your website looks good and functions correctly on mobile devices if you want any kind of success with your site in here in 2017 and beyond. Let’s go take a look at some of the reasons why and at the bottom of the page, I’ll show you a quick and easy way to check to see if your site is already responsive and what you can do about it if not. I don’t know about you, but when I’m at home, I use my laptop. If I’m using my smartphone to look something up, it’s probably because I’m out and about and need to find an answer quickly on the move. I have zero patience for sites that don’t work properly on my phone, these days I expect it. 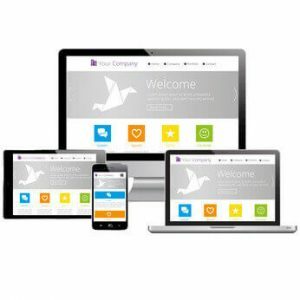 A website that works on mobile devices will be easy to navigate and quick to load, this means people can access your site 24/7 regardless of where they are so long as they have internet access, a huge benefit right there. In fact, according to an article over at SocPub, 57% of users say they wouldn’t recommend a business with a poorly designed mobile website. First impressions and all that! Many people build their sites with the sole aim of trying to please the search engine gods in a vain attempt to achieve higher rankings. This I’m afraid is the wrong way to go about things and anyone that tells you different really hasn’t got a clue what they are talking about. Not here in 2017 anyway. The good news is the search engines such as Google and Bing love website owners who put the needs of their visitors first. After all, these search engines are in the business of providing the most relevant, helpful content to their users in relation to their search query. If they fail at this, the user will go elsewhere. By making your site easy to use on mobile for your users, you inadvertently set yourself up for a pat on the head from the aforementioned search engines. You’ll be rewarded with better positions in the search results as mobile optimized sites are beginning to take priority in organic search and I believe that trend will only continue to grow. Another factor that Google takes into consideration is the loading time of your site, if someone’s trying to view a desktop version of your site on their iPhone, it will be slow and clunky. A mobile optimized version is designed to work in harmony with these smaller machines. The quickest and easiest way to check is to simply head over to Google and use their free testing tool. Simply enter your website name in the white rectangular box and hit the orange “Run Test” button and you’ll have your answer in a few seconds. If you’re using a DIY website builder such as WordPress then you can change your theme to one that is “mobile responsive”. I always recommend you backup your website before changing your theme in case you run into a problem which is not uncommon. If you used a different builder such as Weebly or Wix, the chances are it will already be responsive. If not, again see if you can change the template or contact the support team to get help. 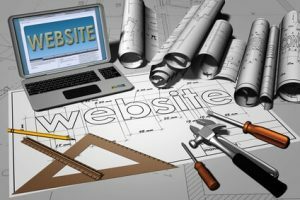 If you hired a web designer to build your site for you, give them a call and explain what you require. They will be used to these requests and will be able to help you. In this situation with a bespoke website, it’s not always as simple as changing the theme. You may have to have them build a separate mobile website, it will include all of your content from your original site and have the same look and feel. When someone clicks on your site on a mobile device, it will automatically redirect to the mobile version which is perfectly acceptable in the eyes of your visitors and the search engines. What were the results? If your site isn’t mobile-friendly, what are you planning on doing about it? next post: What The Heck Do I Write About On My New Website?